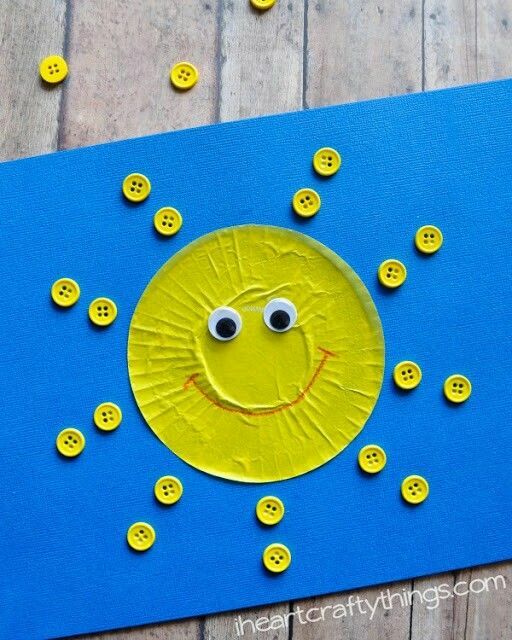 When the weather heats up it’s time for making some fun easy summer crafts. 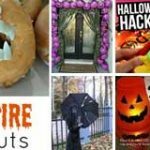 Don’t give the kids a chance to say they are bored once school is out – you will have this nifty list of ideas to hand to keep them busy. With a few basic craft supplies such as paper, glue and paint you can help them to get creative. So make the most of your time together wherever you are and set their imaginations and fingers to work. Footprints make great summer art ideas for teachers to do with their class. 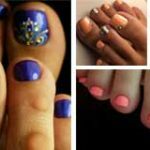 Cover the child’s feet in paint and press down onto paper. 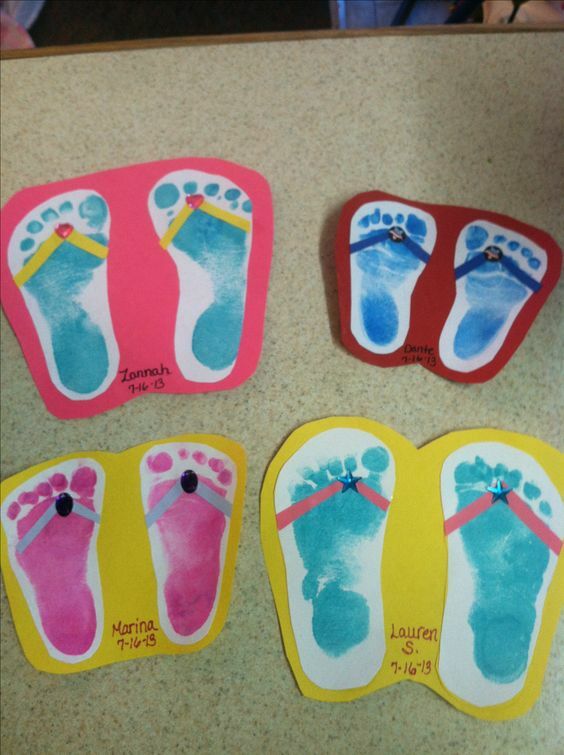 Allow to dry then cut out your footprints and stick onto construction paper. Cut in the shape of a flip-flip. Cut paper strips to fit as the thong part of your flip flop and glue to footprint. Write the child’s name and age on the front as a cute keepsake gift. You can hang on windows or even turn them into cards. 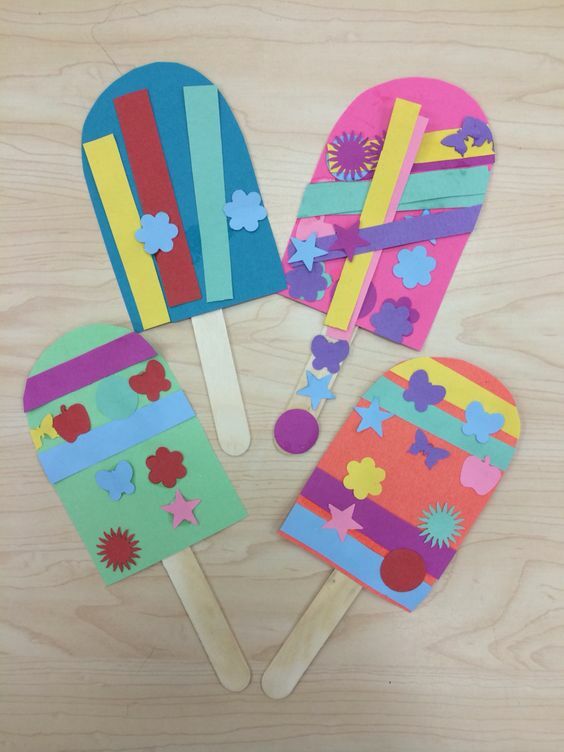 When the popsicle has melted – why not a make one from paper as a fun crafting activity? Draw the shape of a popsicle onto construction paper and glue onto a popsicle stick. 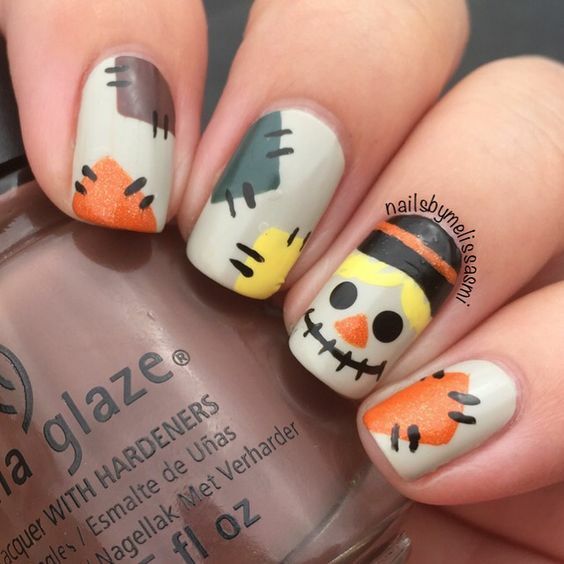 Add other shapes that you have cut out from paper to make it look even more fun. This really couldn’t be any easier to do. Cut up different citrus fruits like oranges and lemons and limes. 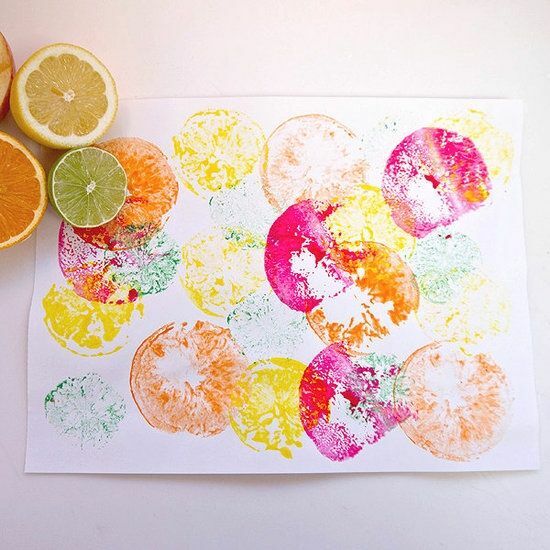 Pour out lots of different colored paints onto a plate and dip the fruit into the colors. Stamp onto a piece of paper and repeat until your design is completed. You won’t believe that a paper plate can be crafted into a starfish. 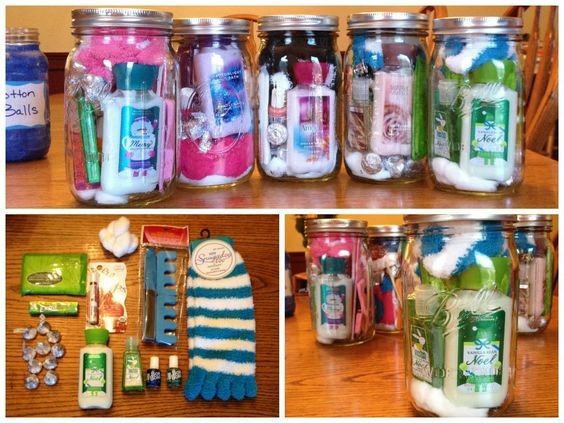 This is a really fun thing to make after a trip to the beach or even if you like beach crafts. Draw the starfish shape on your paper plate and cut out. You can then paint in a nice bright color like red for example. Once that is dry you can add details by making dots with white paint. 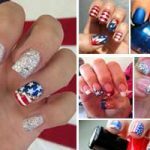 You could make a lot more in different colors and sizes to have a nice collection. Make bubbles even more fun by using them to make art. Pour water into paper cups, add different color paint to each cup. Add dishwashing liquid and sugar. Stir each cup with a straw and blow into the straw to make the bubbles rise. Take a sheet of paper and place on top of the cups to print. Repeat until you are happy with your picture. A fun paper craft that every kid will love to make. Draw a bucket shape on construction paper and cut out. Add details with marker and put a picture of your child in the center. 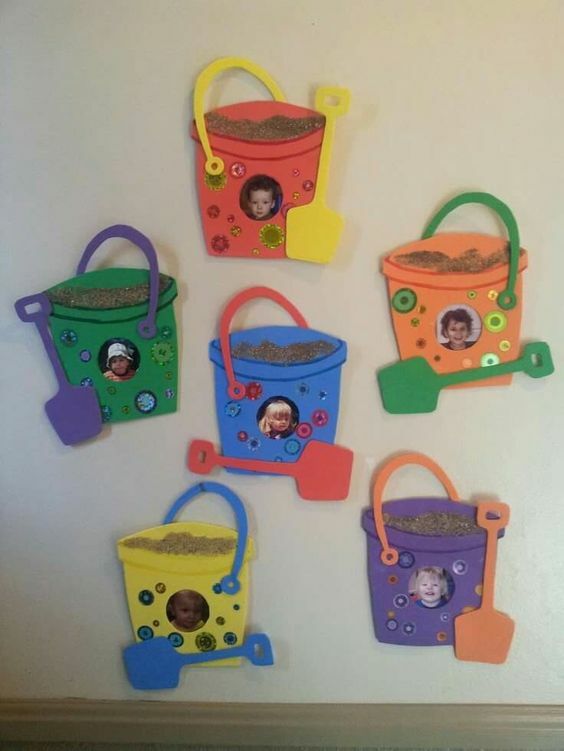 This is a fun keepsake make after a trip to the beach and could be part of a whole summer of projects to make sure they do something fun every day. When the summer is over they will have lots of art to look back on as well as have a memory of the different days out they had. This is too cute not to make. Draw a circle on red paper and cut out. Cut out little yellow triangles and make arms and pinchers using red and yellow paper. 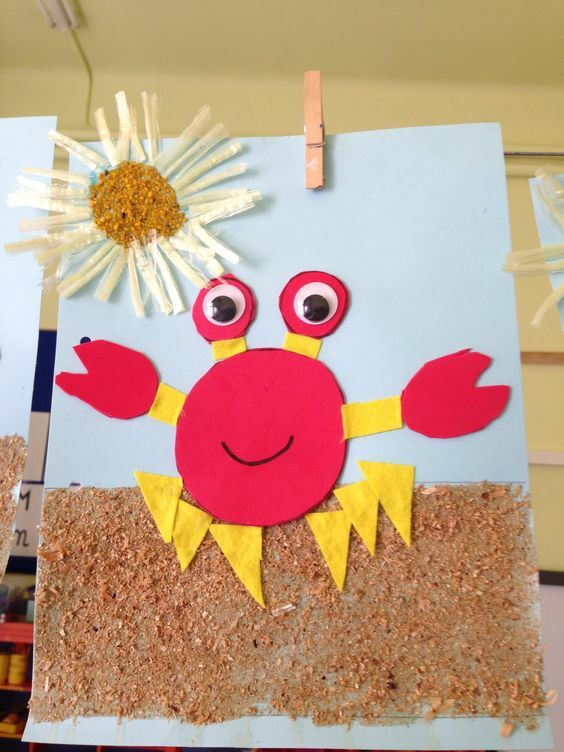 Add googly eyes , stick on to paper and add play sand for texture on the picture. This is a great craft for preschoolers to make. Glue a yellow cupcake liner onto some blue paper. Then you will also glue yellow buttons around this to form the rays of the sun. 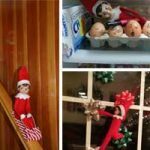 Add googly eyes and a smiley face and you can hang this in any place where you need more cheer or just want to show of your child’s art work. You can customize this octopus to be any color you like depending on the color of the cupcake liner you use. It’s the perfect craft for toddlers and preschoolers alike. Take your cupcake liner and glue onto blue card stock. 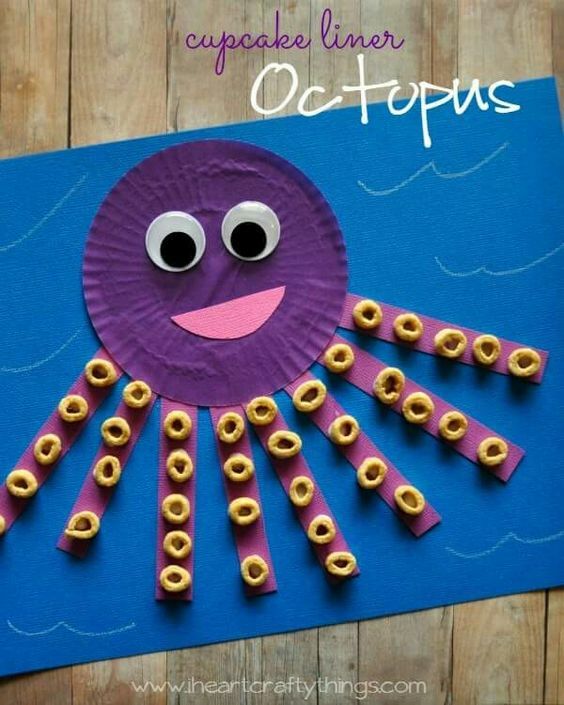 Draw and cut 8 Octopus tentacles from purple paper (or whatever color matches the cupcake liner you chose). Glue the tentacles onto the liner and add cheerios to each tentacle. Pop on googly eyes and a smile and finish by using chalk to add waves to the blue sea.